On this visit I arrived in the early afternoon. The parking consisted of roughly five off-street spaces and room for a couple more vehicles in the front. The building itself is a converted home that was built in 1812. The interior of the restaurant was a series of smaller rooms that at one time would have served as the dining room, parlor or bedroom. The walls are covered in framed photos and paintings by local artists. The items displayed in this gallery range in topic from local wildlife, landscapes and architecture. These items are for sale. The bar area is toward the rear and through a doorway you can see the interior of the kitchen. 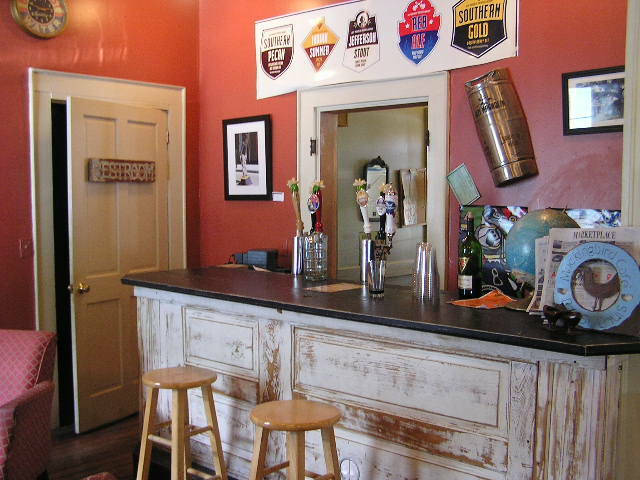 The bar itself is a small wooden counter with two barstools. The paint on the bar is well worn or carefully â€˜agedâ€™. 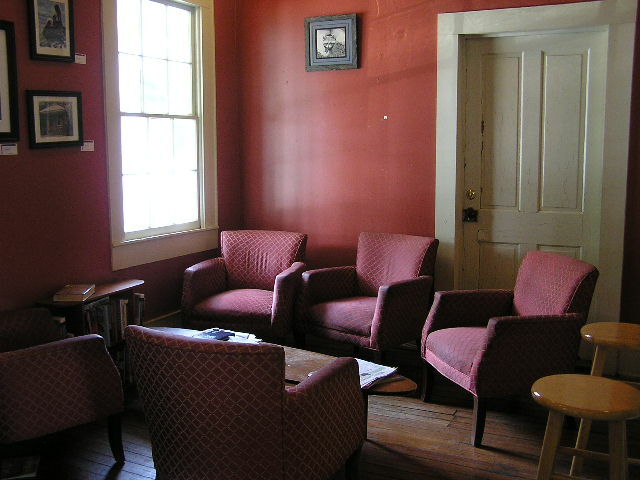 Adjacent to the bar is an area set up with couches, comfy chairs and a coffee table. 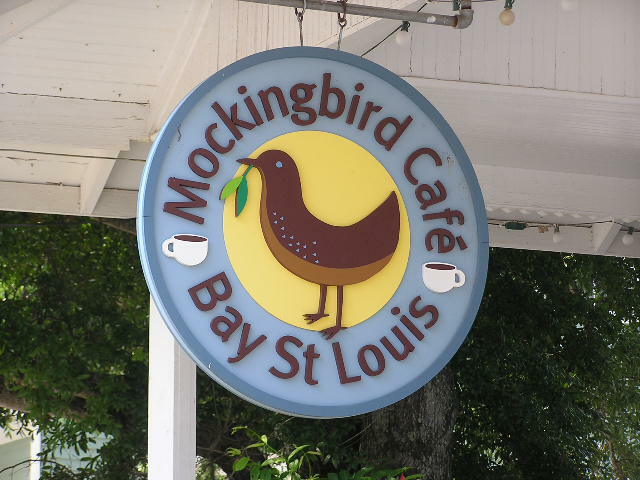 Mockingbird CafÃ© is the first place I have been to that carries all five of Lazy Magnoliaâ€™s year-round beers on tap. There are a total of six taps with the last one being PBR. Wine is also available here by the glass. On this visit I did not try the food but the menu contained specialty coffees, freshly baked muffins and pastries. There were also salads, sandwiches, burgers and a variety of wraps available. This place is not huge, the variety of beers is fairly limited but, it does have a certain warmth and southern charm to it. If you are in the area and in the mood for a bite to eat and have a craving for a pint of Lazy Magnolia or PBR this could be the place for you.